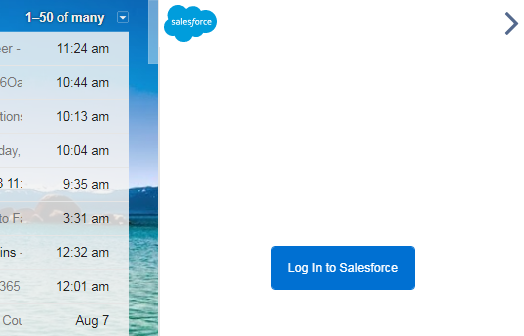 You can access salesforce data from gmail directly. 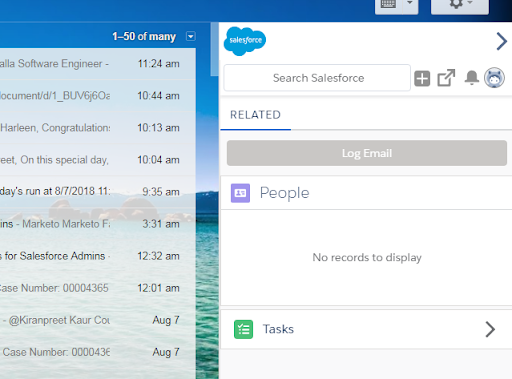 Sales Reps can easily view and search relevant data from gmail, then relate important emails with salesforce record without logging in salesforce org using lightning for Gmail in Salesforce. You can create following things from gmail in salesforce. How to enable Lightning for Gmail in Salesforce? 1. Open your Salesforce org. Click Setup. 2. 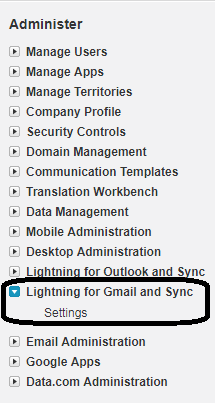 Expand “Lightning for Gmail and Sync” under Administration section. Click Settings. 3. Enable “Lightning for Gmail”. 4. Add “Salesforce Lightning for Gmail” Google Chrome extension. 5. Open Gmail in chrome. 6. Click Login to Salesforce. 7. 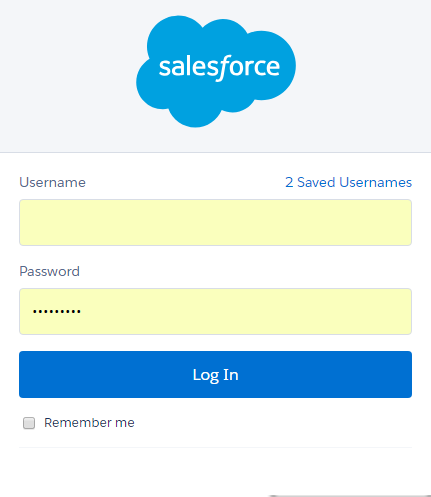 Enter your Salesforce username and password. 8. Click continue to give access. It will link to Salesforce.